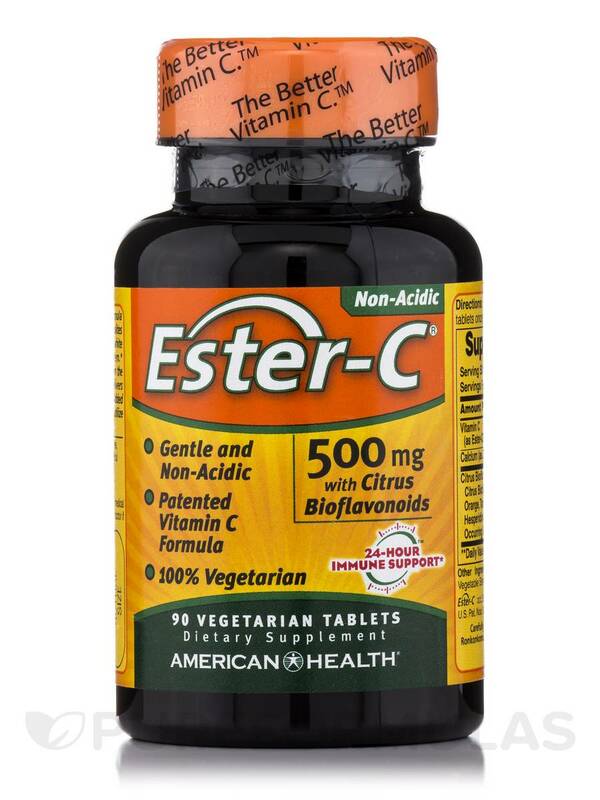 Ester C 500 by Ester-C is the most absorbable form of vitamin C. It also has bioflavanoids. It is naturally buffered and gentle on the stomach. 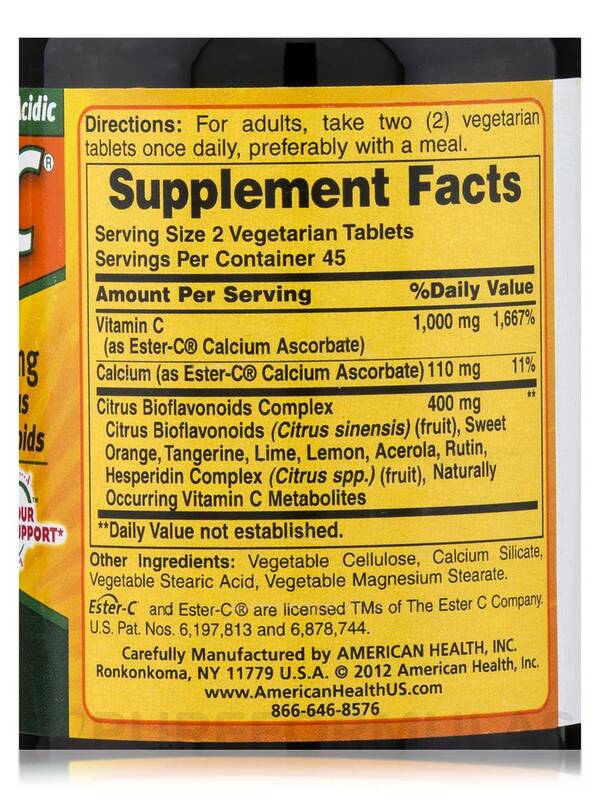 I have not found a better combination of Ester C than Ester-C 500 mg with Citrus Bioflavonoids! 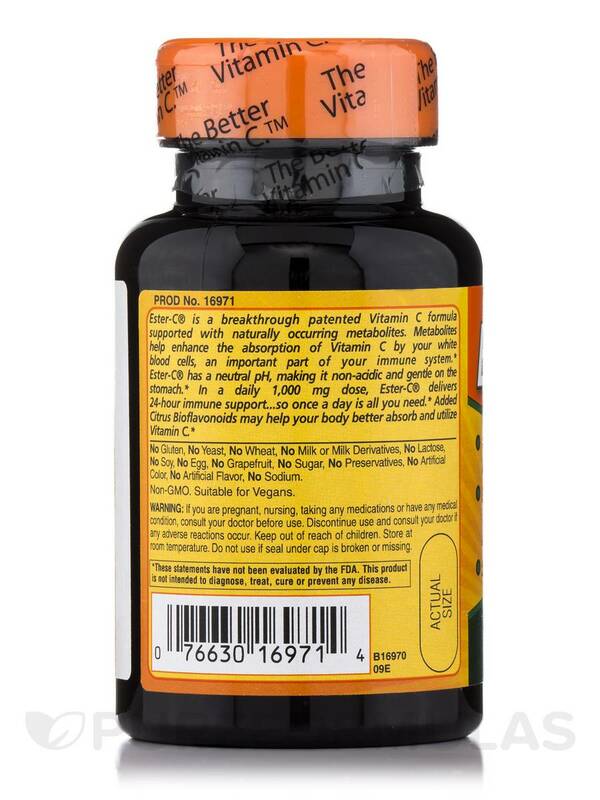 In just taking two capsules, I have never had any stomach issues and I rarely get infections when I take this consistently! Citrus Bioflavonoids (Citrus limon) (fruit)‚ Sweet Orange‚ Tangerine‚ Lime‚ Lemon‚ Acerola‚ Rutin‚ Hesperidin Complex (Citrus spp.) (fruit)‚ Naturally Occurring Vitamin C Metabolites. Other Ingredients: Vegetable Cellulose‚ Vegetable Stearic Acid. 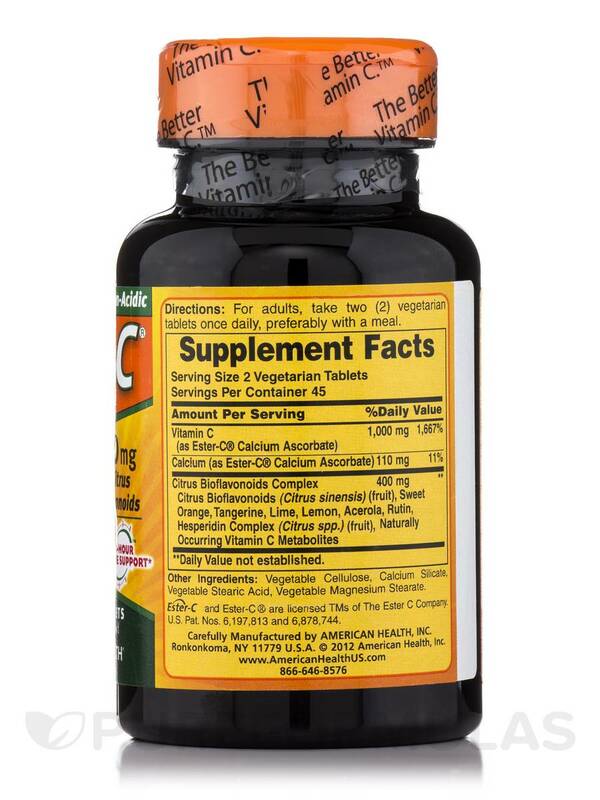 For adults‚ take two (2) vegetarian capsules once daily‚ preferably with a meal. It's a quality product and it works! 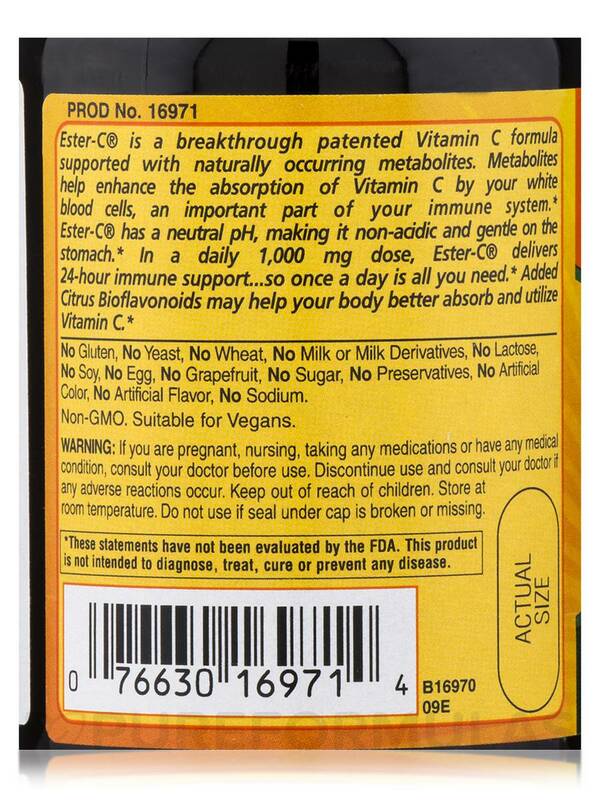 Ester-C 500 mg with Citrus Bioflavonoid by Ester-C is highly absorbable. Very gentle on the stomach. I take it along with vitamins E, and cod liver oil for the health of my skin and immune systems.